AEG Gourmet Collection Conical Sauté is rated 5.0 out of 5 by 1. The AEG Gourmet Collection 2 litre Conical Sauté is the optimal pan for sautéing and flash-frying small portions of meat and vegetables to achieve crisp yet moist results. 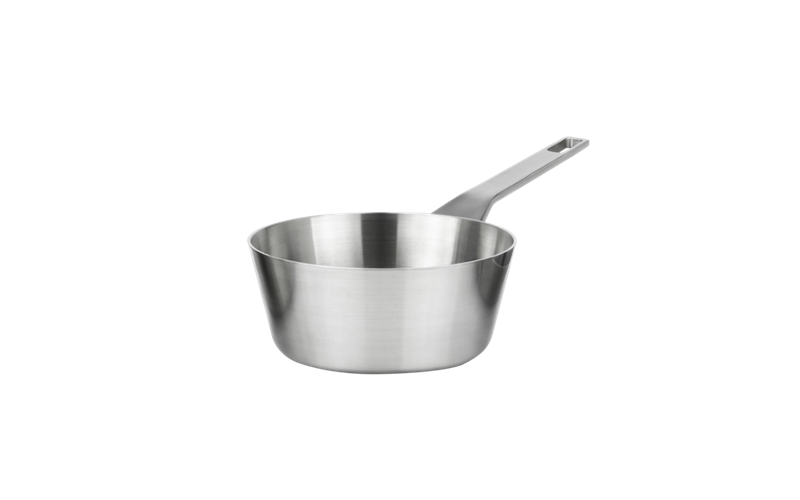 Rated 5 out of 5 by Miss Bevelynn from Great pot and strainer I received the pot and strainer from my place of purchase as I spent more than $5,000 on AEG cooking top and oven wares. These have been just wonderful and I love the clean lines and they fit into each other so neatly. The quality is the best pots I now have and will hope to purchase more in the near future.